PlayStation Magazine Cover. 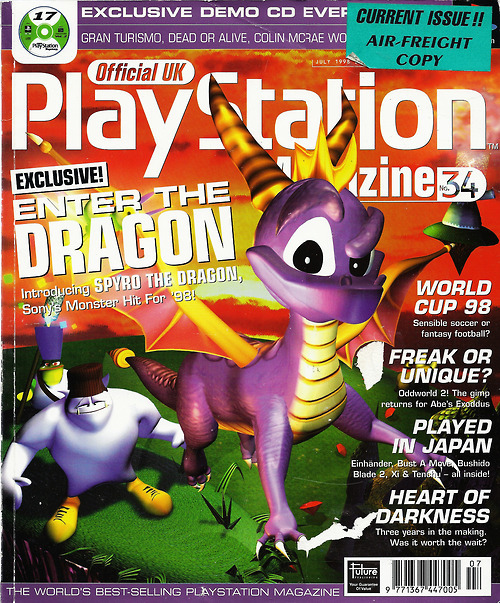 Spyro gets on the cover of issue 34 of PlayStation Magazine!. Wallpaper and background images in the Spyro The Dragon club tagged: photo spyro spyro the dragon psone playstation playstation magazine. Spyro gets on the cover of issue 34 of PlayStation Magazine! This Spyro The Dragon photo contains anime, grappig boek, manga, cartoon, and stripboek.